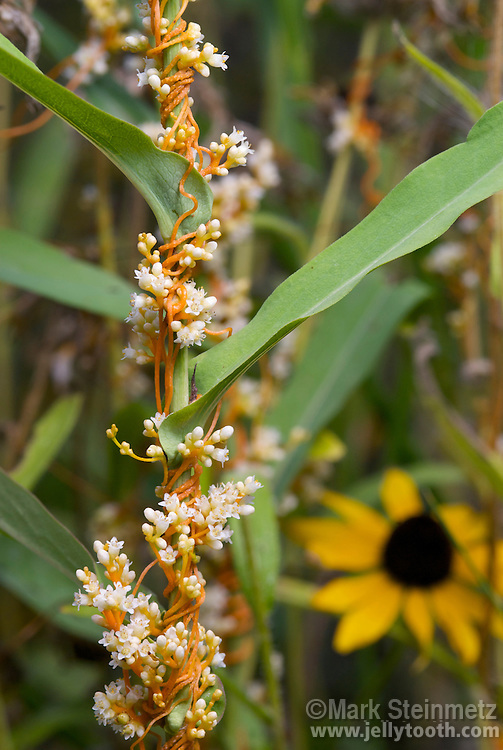 Common Dodder (Cuscuta gronovii), a parasitic vine entwining Smooth Aster (Aster laevis) in a prairie. In bloom. Also known as Love Vine and Scaldweed. Franklin County, Ohio, USA.